Here’s a fun toy to go ahead and grab for a gift this holiday season! You can get the Melissa & Doug Let’s Play House! 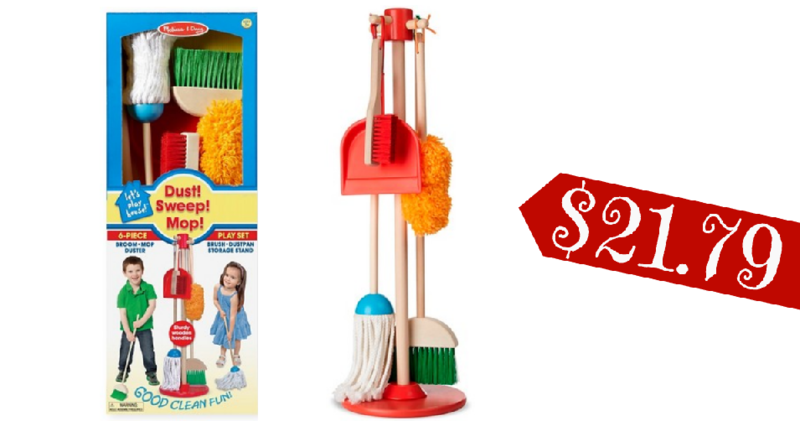 Dust, Sweep & Mop set for $21.79 after a sale and Cartwheel coupon. In case you haven’t heard, you can now use Target Cartwheel offers with online purchases! The cartwheel needs to be loaded before you checkout and will only apply if you select store pickup. Offer valid through 10/27. Choose free in-store pickup.